The future of the Internet is at a crossroad in America these days. ISPs are building a legal hit list of states who have the audacity of protecting American consumers. The Trump administration through the Department of Justice (DOJ) is on a legal warpath against various state governments. Some states are actively daring the federal government to file a lawsuit against them on top of it all, proving that those who are trying to save the Internet are not backing down. With the war over the future of the Internet raging, it’s little surprise that American citizens are increasingly looking for any bastion of safety. With the future of the Internet being so up in the air, who can blame them? 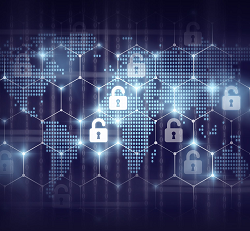 Now, a new survey says that American’s are looking towards Virtual Private Networks (VPNs) as a place to seek shelter from all of this uncertainty. One concrete step that more and more people are taking is to adopt virtual private network (VPN) apps to maintain anonymity and data security while they’re browsing. PCMag recently surveyed 3,000 US consumers about VPN use and buying trends. We found that while fewer than a third of consumers currently use VPNs, 52 percent of respondents said they’re more likely to use a VPN since net neutrality rules officially went kaput in June. More significantly, one in four respondents (26 percent) said that the net neutrality rollback directly influenced them to purchase a VPN app. That’s not surprising, as security is the top concern for VPN users. Tasks such as safely accessing public Wi-Fi, sharing data securely, and avoiding government surveillance are all additional reasons consumers have bought VPNs. There are obviously a number of takeaway’s here. For one, the market for VPN services is looking like a growing industry. For another, it looks like American’s do understand the consequences of repealing network neutrality. Additionally, American’s are growing increasingly nervous about the future of the Internet. Those are three takeaways one can certainly get from these results. Of course, one question many might ask is whether or not a VPN would be effective in the long run. That really depends on a lot of factors. One major issue is how will ISPs treat VPN services not just now, but in the future as well. There is always that possibility that ISPs could operate on a white-list basis of certain services and ban the rest. There could also be a new encryption arms race between VPNs and ISPs similar to what we saw in the file-sharing throttling wars of years past (not just with BitTorrent, but the eDonkey2000 network at the time). So, why be uncertain about the effectiveness of VPN services? The problem is that this is not a web service we are talking about. We are talking about the ISP itself that is attacking the Internet. With a web service, as long as the originating IP address comes from a white-listed region, access to that service can be relatively straight forward. With an ISP, all the data flowing through the network bottlenecks at the ISP. It’s much more difficult to slip past the censors and throttling when the ISP is doing it. For all we know, the ISP can simply cut the user off entirely if they want to go to that extreme. So, this is a challenge that VPN services need to overcome if they are to be relied on as a way to continue using the free and open Internet. Is this a challenge that VPN services can overcome. It’s likely that many VPN services would say yes. If things do start going seriously south for Internet freedom in the US, those VPN services are no doubt going to be tested sooner or later.